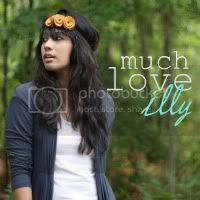 much love, illy: sponsor love + giveaway with Agape Love Boutique/Designs. 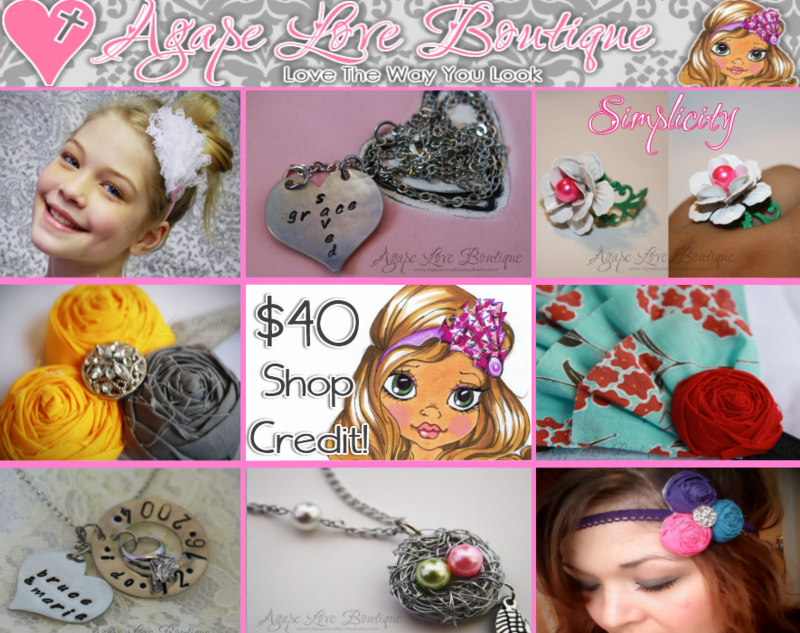 sponsor love + giveaway with Agape Love Boutique/Designs. 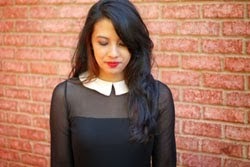 meet maria of agape designs/boutique. Hey all, I'm Maria-Isabel the designer behind Agape Love Designs/Boutique. I am a lover of all things artsy and crafty, so you will find a lot of that on my blog... But I also love variety which is why you will also find me writing inspirational posts about my faith, fashion & makeup, my photography, as well as my weight loss journey. 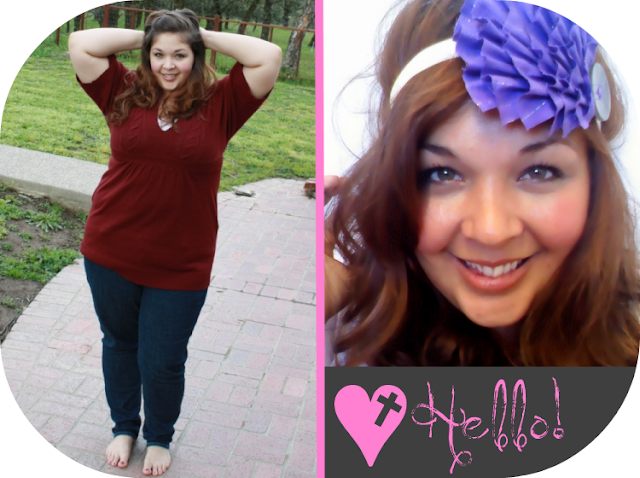 I started my shop at the end of 2010, because I LOVE creating jewelry and headbands and needed to support my habit. ♥ However it has evolved into something so much more. Now I still create those things, but my items are unique in that most of them have special meaning, and stories behind them! I also have several faith inspired jewelry items. After all I do aspire to glorify God in all that I do. and i am partial to my personalized hand stamped necklace that maria made for me with mine and ryan's initials. i am such a sucker for anything hearts. and today one of you awesome readers gets the chance for your very own hand stamped necklace - or really anything else that caught your eye in her shop because Maria is giving away $40 Agape Love Boutique Shop Credit! she's got just about anything for any girl in your life - from headbands, bird nest necklaces, hair clips, earrings and so much more! maybe even do some Mother's Day shopping while you still got time! visit Agape Love Boutique and tell me what you would spend the shop credit on if you win! Giveaway is open to US and Canadian Much Love, illy readers through May 7th. Winner will be announced on May 8th. Great giveaway! Love the Antique Bronze Birds Nest Necklace! I would get the blush envy ring, antique love necklace, spunky sweetness headband, and so much more! Such a cute shop! I have liked Agape Loved on facebook!! I love several of her headbands! i facebooked about this giveaway!! I loveeee Maria's stuff! have some myself! well made with a touch of LOVE! I love the Shine On Rosette Trio headband! i love all the necklaces and headbands! Def love the headbands. I really really like the ones she made for the shine project. I just hearted Maria's shop! I would love the You & Me Personalized Hand Stamped Initial Heart Necklace. So pretty. I am a public GFC follower! I hearted Maria's shop on Etsy! I love the Delicate Initial Princess Necklace. With a $40 credit, I'd get the Love word art pendant and the God is Bigger Necklace! I hearted the shop on Etsy! the Lavendar Dreams - Purple Gingham Ruffled Fabric Headband Mini (CHILD SIZED) is so adorable (as is the little girl model!). i heard them on etsy. and i like agape on fb. I love the spunky sweetness headband and the I scream for ice cream headband!! I hearted the shop! ID shannau. I am a fan of Agape Love Designs. Following the Agape Love blog. i adore the black pearl necklace! Awesome giveaway! Love the large antique brass bow necklace! 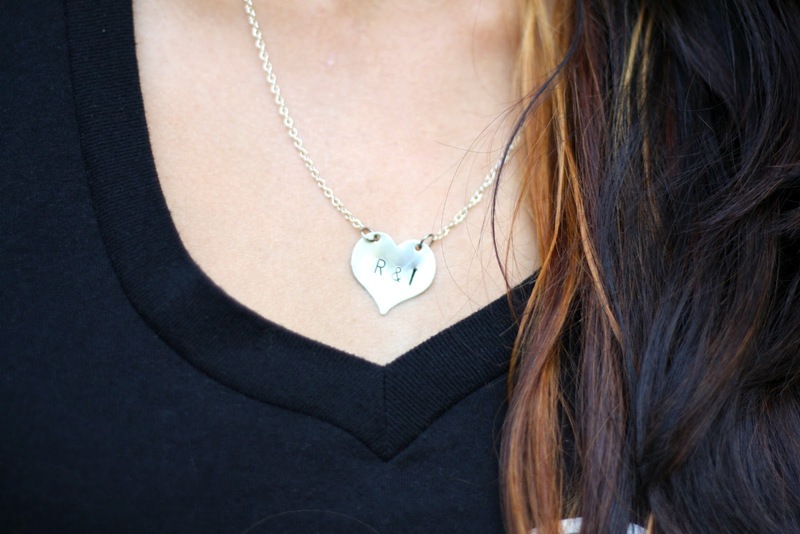 I need this Perfectly Imperfect Hand Stamped Necklace! I say that I am "Perfectly Imperfect" all the time! I love, love, love Maria's stuff! My favorite items are the Send My Love Antique Brass necklace and the Black Pearl Antique Bronze necklace. You & Me Personalized Hand Stamped Initial Heart Necklace is so cute! I follow Agape love Designs blog. I like the Agape FB page. These heart letter necklaces are so lovely. I love them. Thank you for sharing.